Bruce Wright’s plan to grow his Primex primary industries expo into the most successful of its type in Australia, moved closer to reality following the success of this year’s event. The gates to Norco Primex 2018 closed on Saturday at Casino, northern NSW, with event owner Wright describing it as ‘one of the event’s best-ever shows’. Three crucial stats – exhibitor numbers, visitor numbers and sales (including projected sales) – were all ‘best in recent times’ category. There were 320 exhibitors at this year’s Primex, which was held from Thursday June 14 to Saturday, June 16. Crowd numbers across the three days were estimated to total about 22,500 and early sales forecasts are tipped to at least get to the projected $30million. “On all scorecards this was one of the most successful Primex expos to date,” said Wright, who took over ownership of Primex in 2017. “It certainly gives us a great deal of confidence moving forward, especially in regards to the continued implementation of our five-year, which was rolled out for this year’s event. One of the major pillars of the Primex five -year plan is a change of date for the 2019 event, which will see Primex open a month earlier and run from May 16-18. One of the major positives of this change will be that Primex will dovetail into the very popular Casino Beef Week, May 18-28. Wright said his goal at the end of his five-year plan was 400 exhibitors and 40,000 visitors. “Those goals are very achievable given the success of this Primex and the plans we have made,” he said. “On the visitor front, we will always have a major focus on attracting the people from the heart of our footprint, the Casino/Lismore area, but what is pleasing is the numbers we are attracting from other parts of that footprint – the New England region and South-East Queensland. 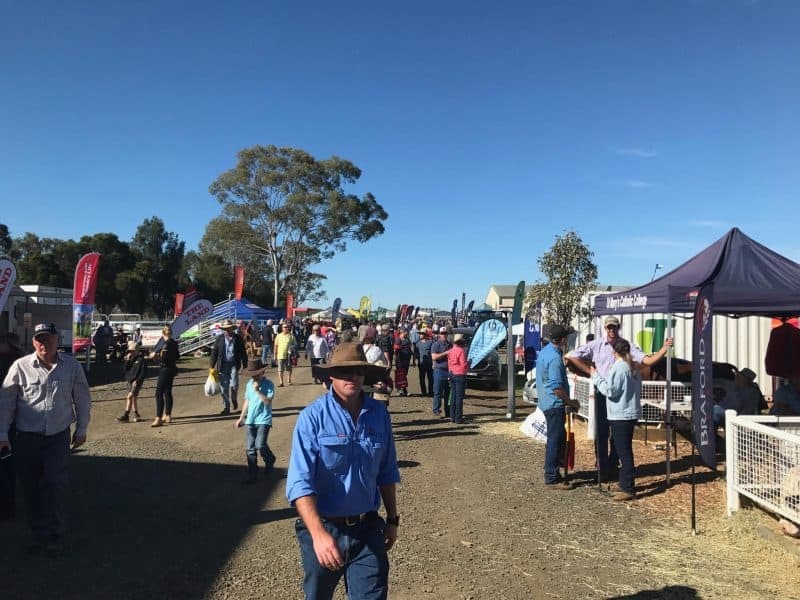 Wright said the new initiatives at Primex, including the Live Site, the enhanced Hospitality Hub and new cattle yards were a hit with visitors and exhibitors. “Planning for next year is already well underway and there will be several major announcements over the next few months,” he said. “We are looking at a far closer relationship with those in the Primex family. These are exhibitors and visitors who are part of our data base. What we are seeking is more interaction with these people and greater rewards for them all year round, not just at Primex. “I am talking about invites to lead-up functions and also more hospitality benefits while at Primex. Norco Primex is held annually at Casino. The next Primex Expo is May 16-18, 2019. It will host about 320 exhibitors and attract more than 20,000 visitors, about $30million in sales and inject an estimated $5 million into the local region.